Equity feed is a powerful, intuitive real-time platform used globally by investors and day traders. The EquityFeed platform is a powerful multi-featured desktop application that gives traders the edge in the market by providing real-time information that allows individuals to find trade opportunities as they happen, giving them a strong edge over other traders. 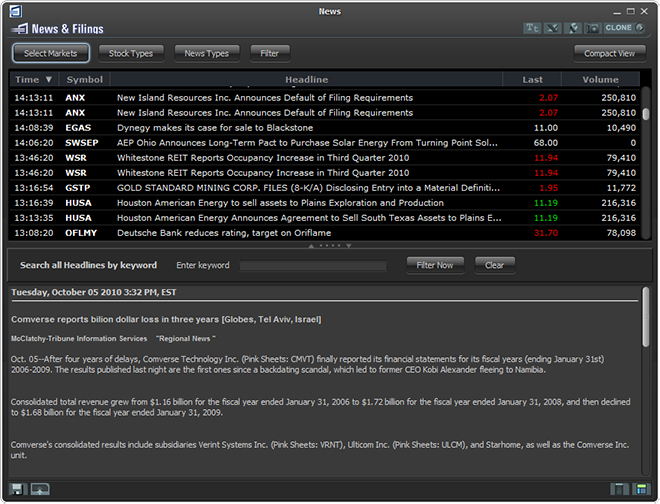 One of the most popular feature’s within Equity Feed is the live streaming news function. The news streamer is widely considered one of the best news tools around. With over 18 trusted sources, such as Fly on the Wall, Briefing.com, Associated Press and Dow Jones, you are assured of getting lightening fast reliable streaming news straight to your desktop. The news feed also delivers SEC filings, and other deal related news such as mergers, buyouts, financing, bankruptcies, FDA approvals, stock splits and more. EquityFeed’s real time level 2 quotes, advanced charts for technical trading, time & sales and streaming ticker tape allows day traders to have all the trading tools they need all in one place. Another highly useful feature of Equity Feed is its stock screener and filter. The ultra powerful stock scanner and screening tool allows traders filter stocks using various criteria, and zero in on the best stocks to trade. 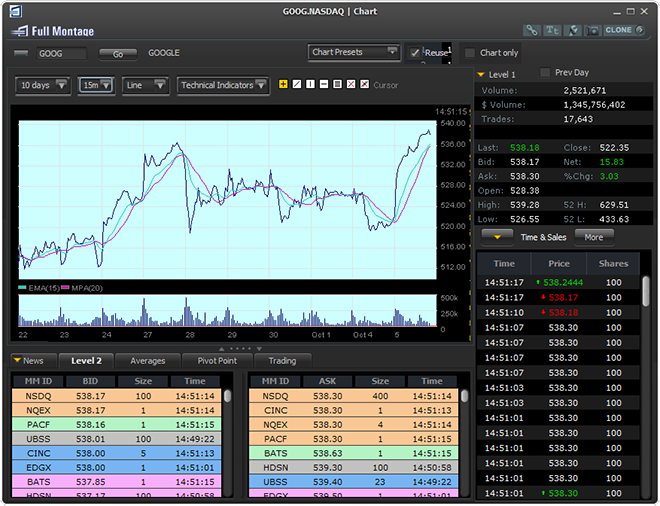 The realtime stock screener scans stocks across all exchanges. 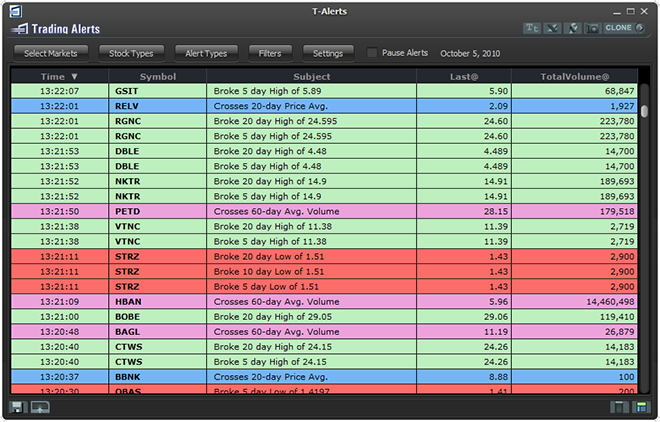 Finally, the most beloved featured for a momentum trader is Equity Feed’s real time trading alerts tool. The software will identify and display stocks that meet whatever criteria you choose, such as stocks making new highs and new lows, stocks breaking price and volume averages, block trades and more. Equity Feed is currently available for a 30 day free trial to new users. Note: We use equity feed daily to dominate the markets.